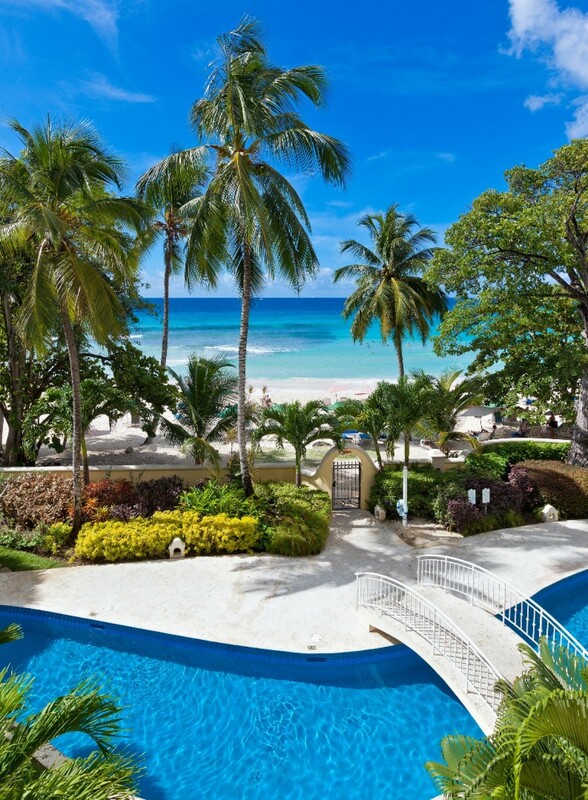 Sapphire Beach 213 on Barbados is located on the second floor of this impressive beachfront development and enjoys wonderful views of Barbados' South Coast and the stunning blues of the Caribbean Sea. 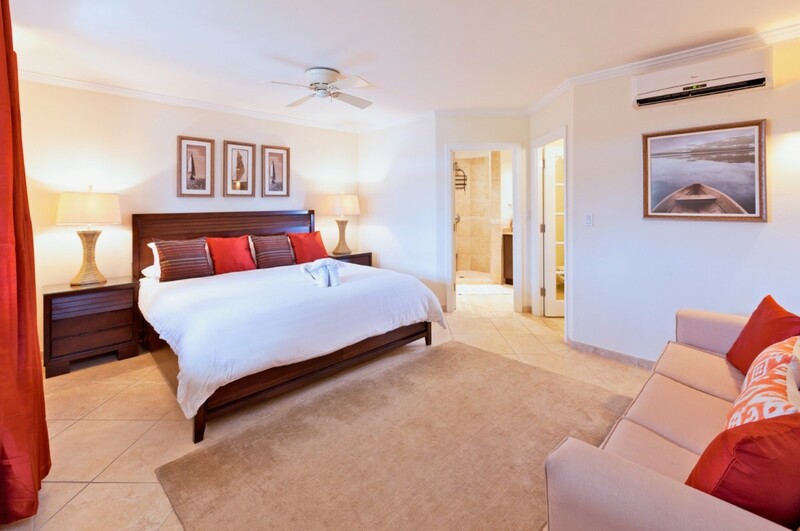 The master bedroom is decorated in warm, neutral tones and has a king size bed with an en suite bathroom. 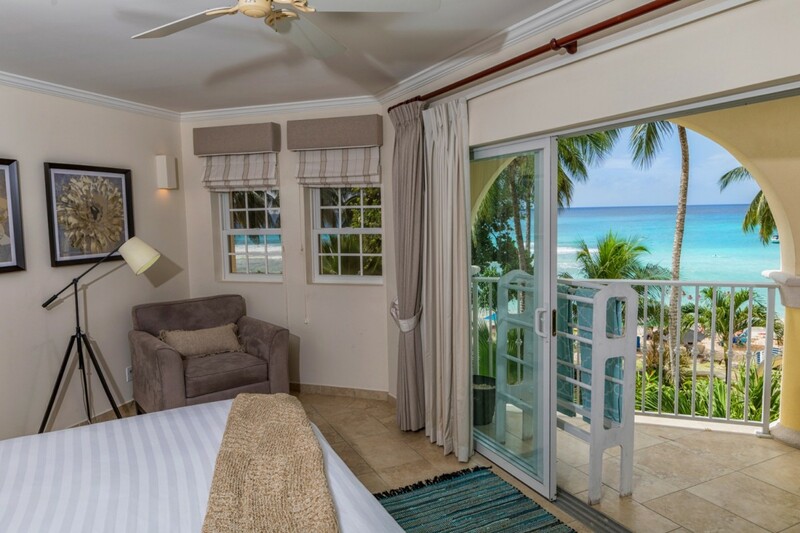 It also enjoys direct access to the balcony through large patio doors which allow you to lay on your bed and look straight out the ocean view and feel the tropical breezes! 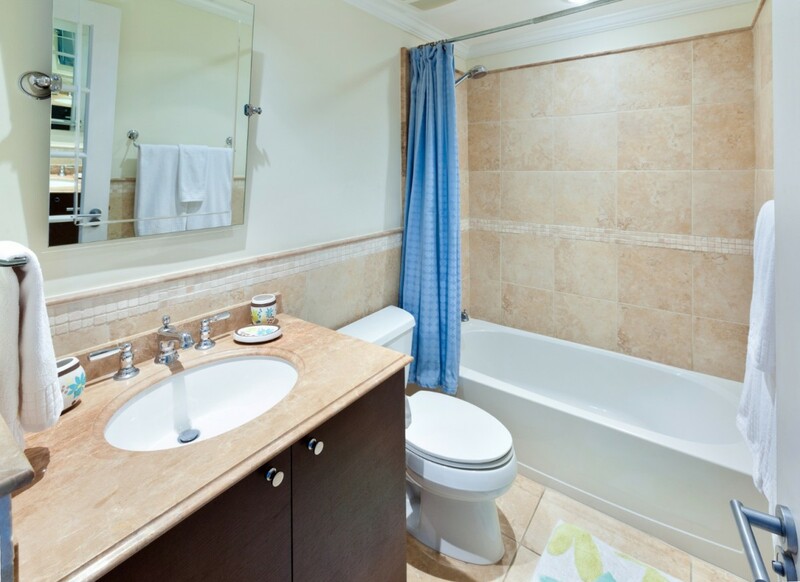 The spacious second bedroom has a king bed and en suite bathroom; bedroom 3 has twin beds, and is adjacent to the hallway bathroom. 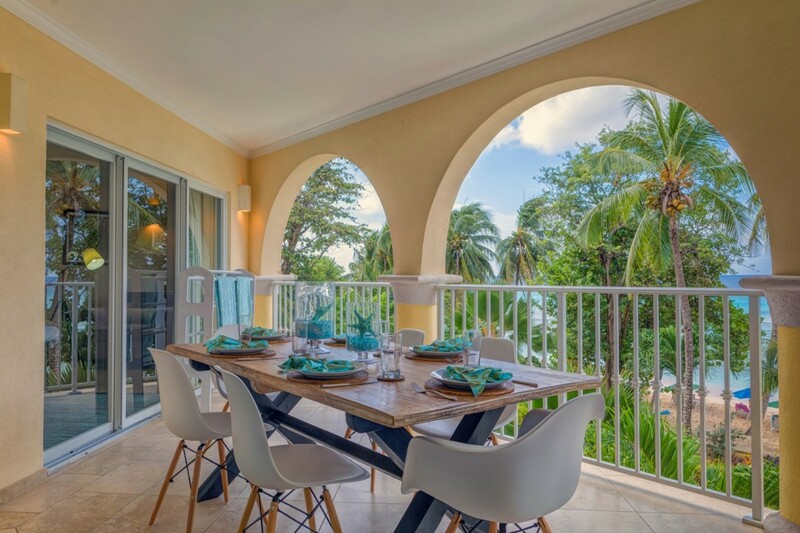 This rental apartment features an open plan living area adjacent to the well equipped kitchen and is attractively furnished with hints of color to match the tropical gardens visible through the glass doors. 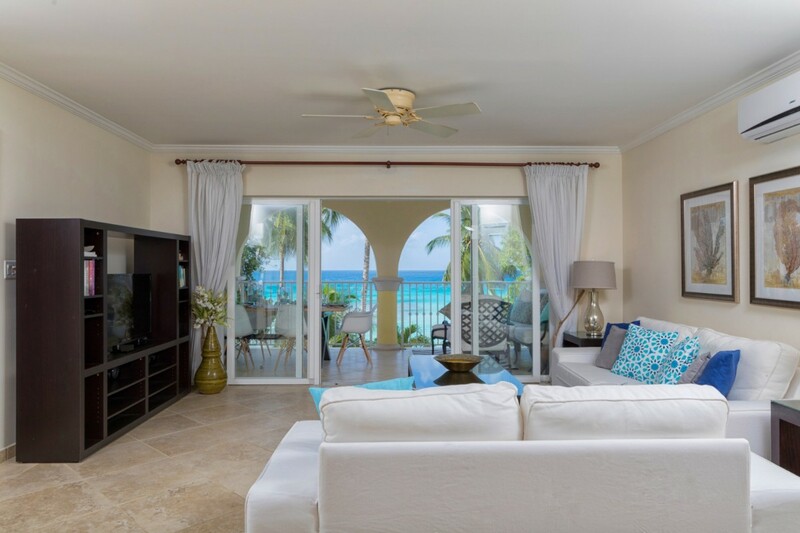 The living area opens out on to the balcony overlooking the pools and the white sands of the renowned Dover Beach. 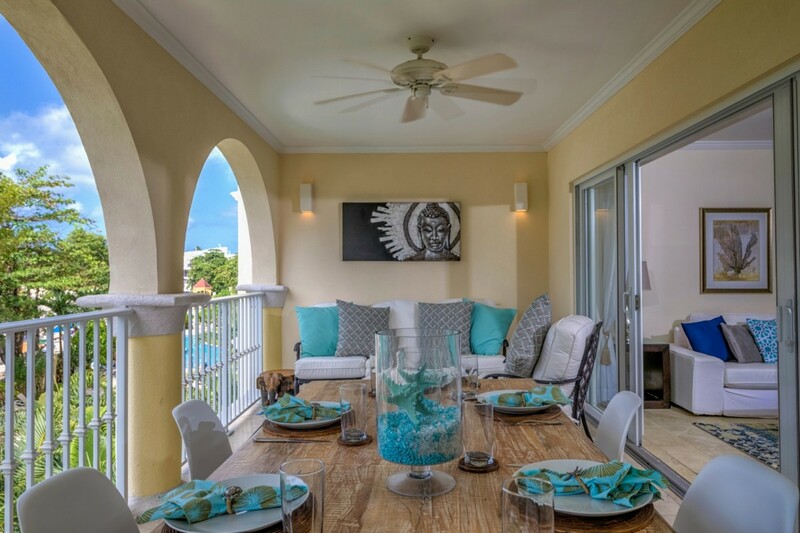 This is a favorite spot to start the day with breakfast on the balcony or to relax in comfort later in the day and watch the sun set. 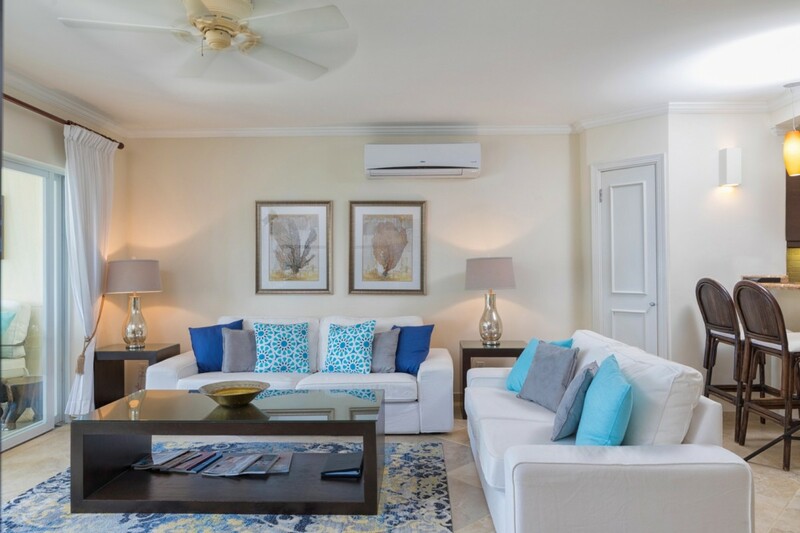 For those wanting to stay connected the unit is well equipped technology wise, with a 40" flat-screen TV in the living room and a 32â€ Flat-screen TV in the master bedroom. 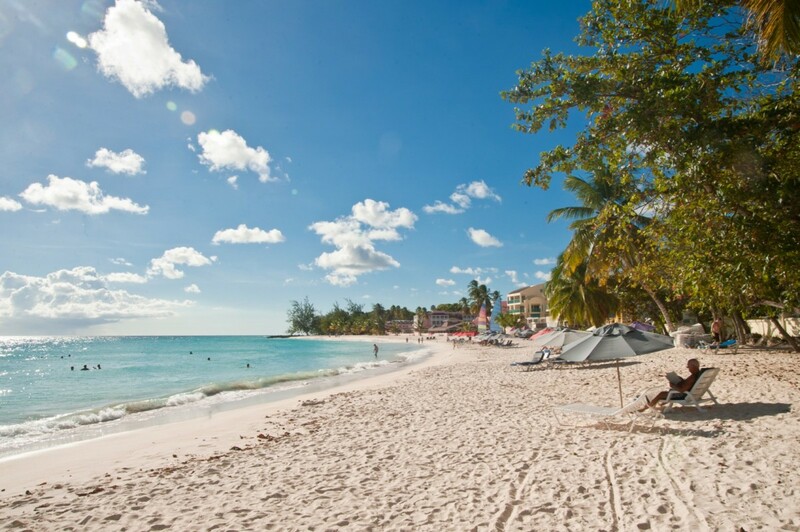 Ideally situated on the fabulous Dover Beach and enjoying stunning ocean views, Sapphire Beach is within walking distance of the many amenities and restaurants located in St. Lawrence Gap. 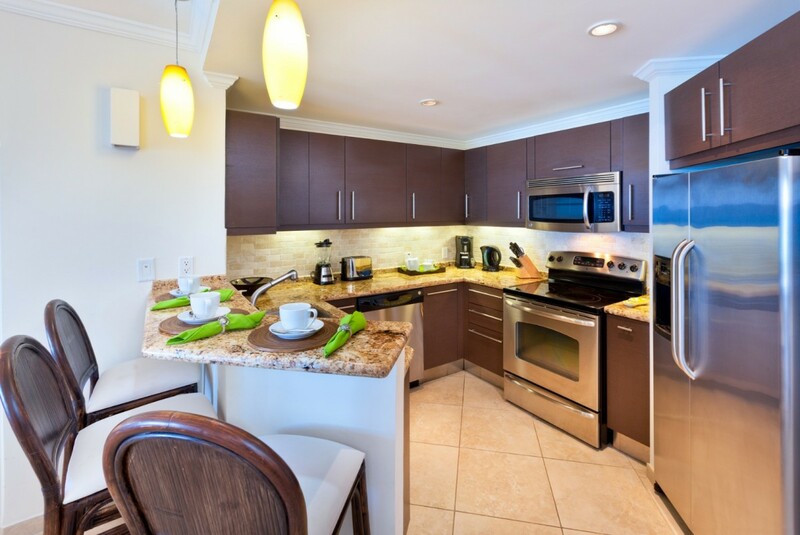 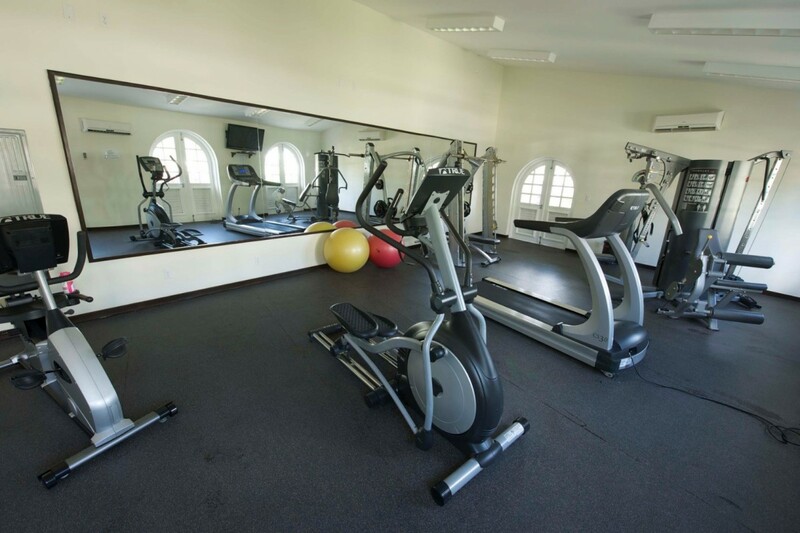 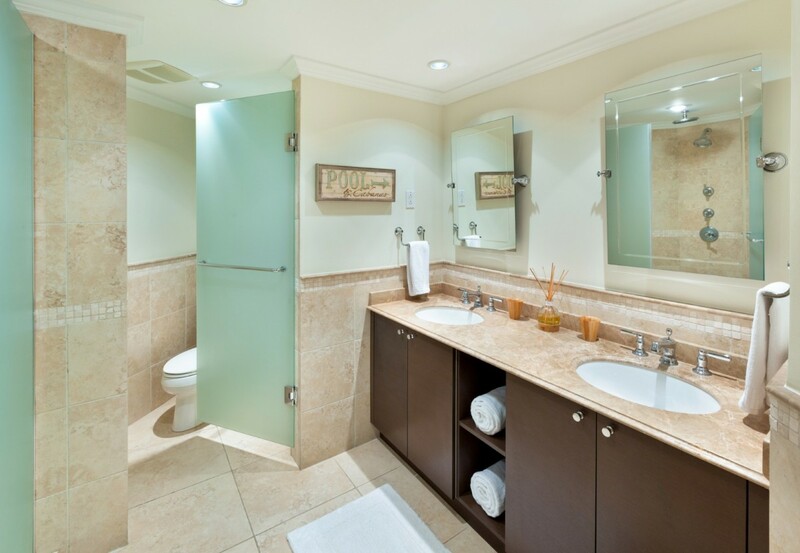 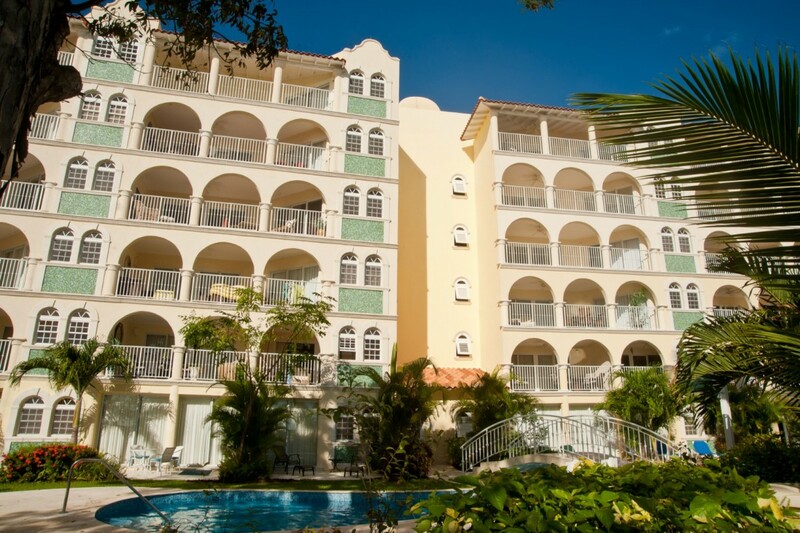 Facilities at Sapphire Beach also include two swimming pools and a fitness center. 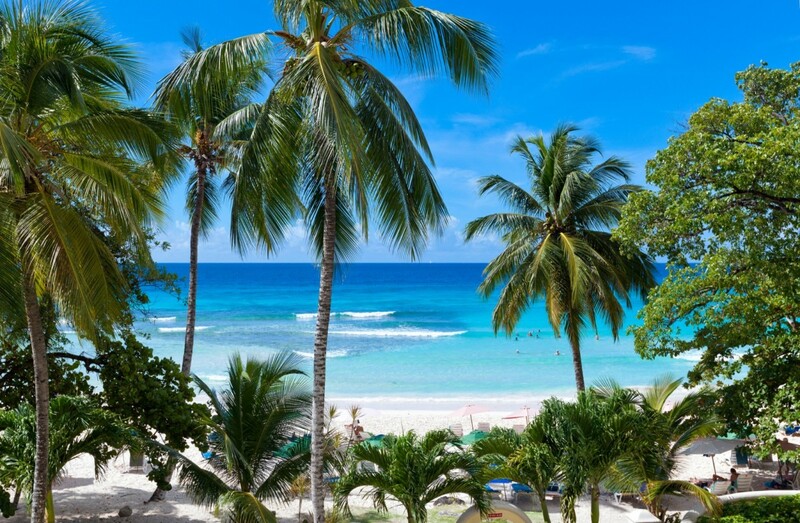 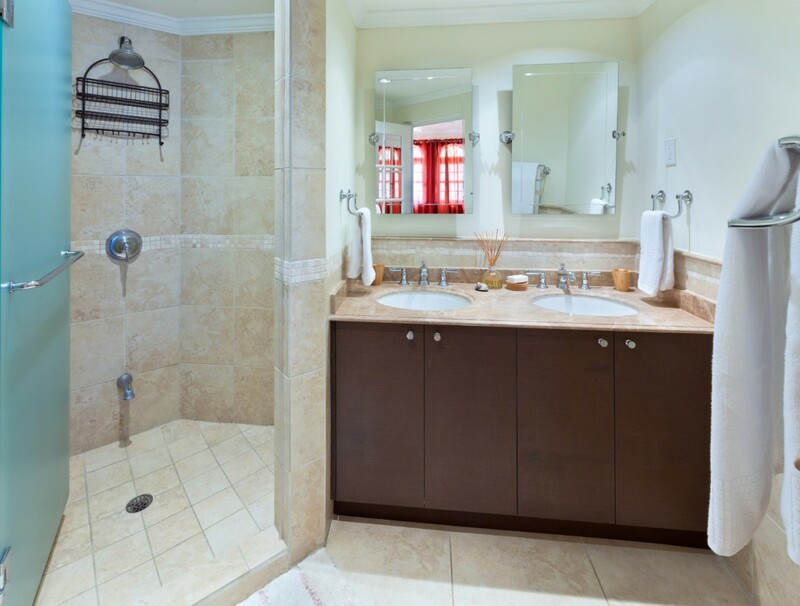 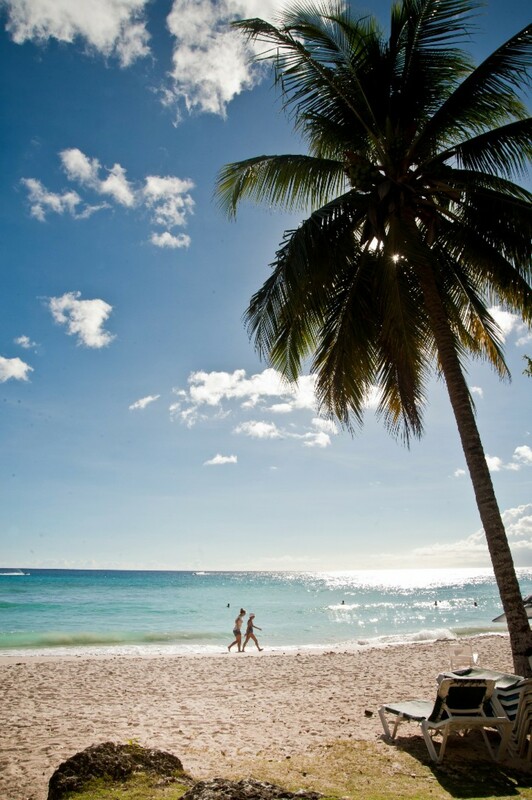 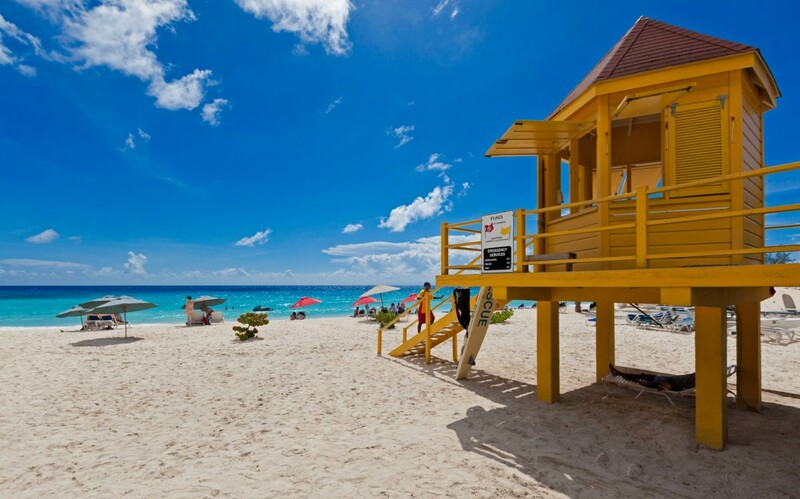 An excellent choice for the perfect holiday in Barbados! 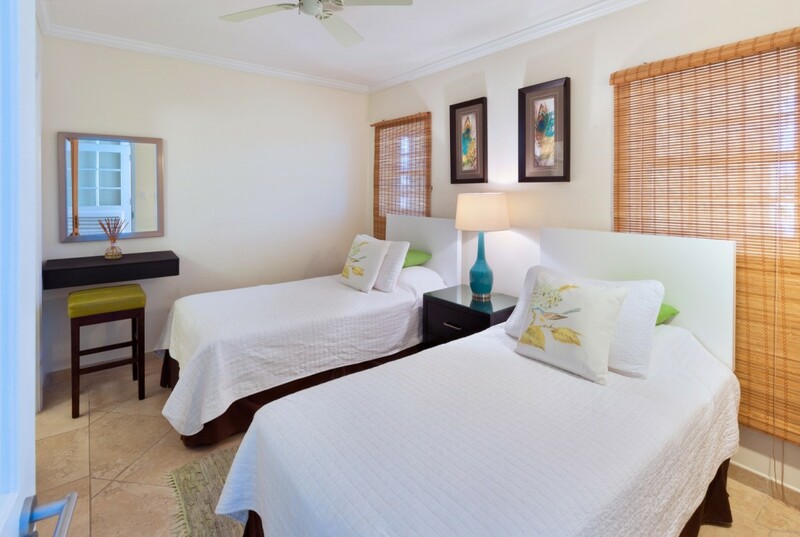 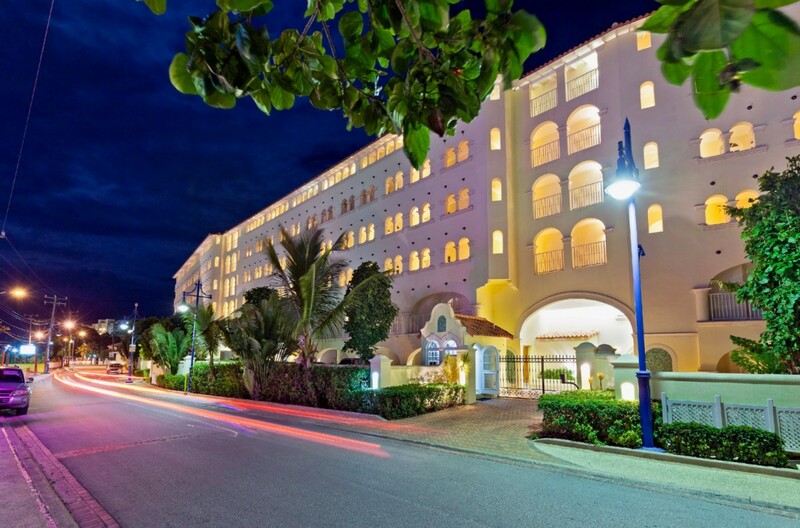 Sapphire Beach 213 is offering 15% off for travel between April 15, 2019 and June 30, 2019. 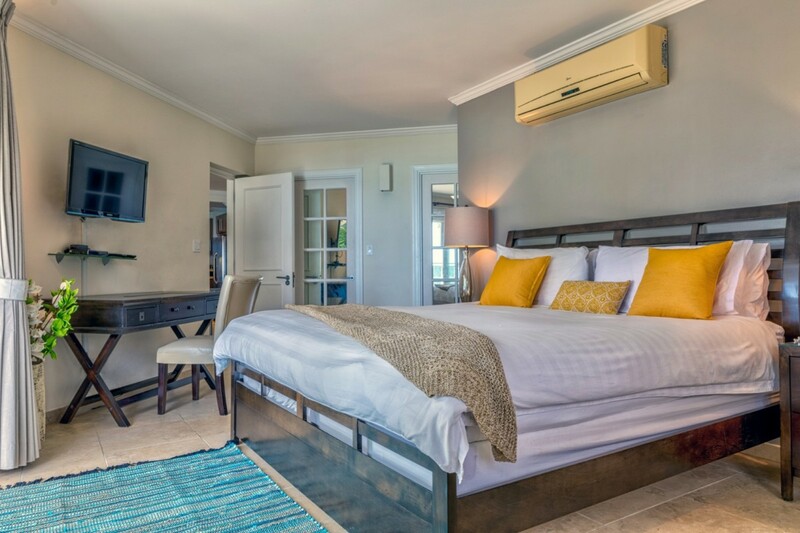 Sapphire Beach 213 is offering 20% off as a result of pool maintenance for travel between September 2, 2019 and September 22, 2019.